There are approximately 185 million indigenous women in the world, belonging to more than 5 000 different indigenous peoples. Despite the broad international consensus about the important role indigenous women play in eradicating hunger and malnutrition. There are still limitations in the recognition and exercise of their rights. The empowerment of indigenous women is not only a central issue but also a necessary condition to eradicate hunger and malnutrition in the world. For this reason, it is fundamental to raise awareness on the contributions that indigenous women make towards the achievement of Zero Hunger and to engage all stakeholders in eliminating the barriers that prevent indigenous women from enjoying their rights fully. The 2030 Agenda and its stand-alone goal on gender equality, Goal 5, represent a unique opportunity to advance the rights of indigenous women and address many of the challenges they currently face. 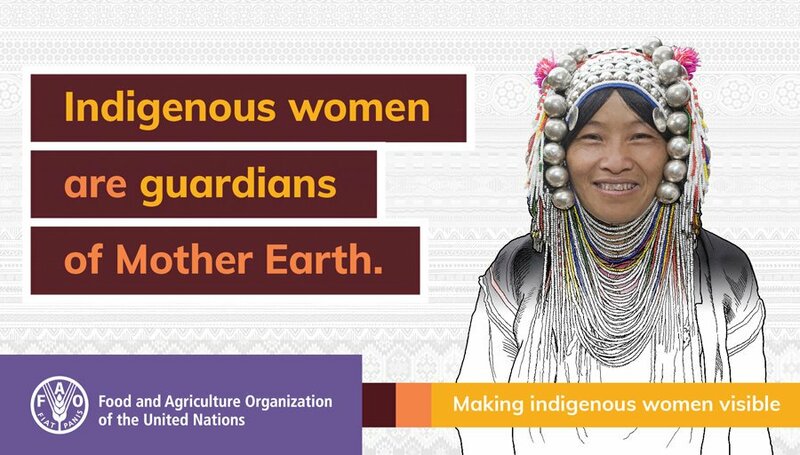 Under the leadership of the Food and Agriculture Organization of the United Nations (FAO) and with the collaboration of the International Indigenous Women Forum (FIMI/IIWF) and the News Agency of Indigenous and Afro-descendent Women (NOTIMIA), this global campaign aims at making indigenous women’s challenges and contributions visible as a necessary step to “leave no one behind” in the achievement of the Sustainable Development Agenda. 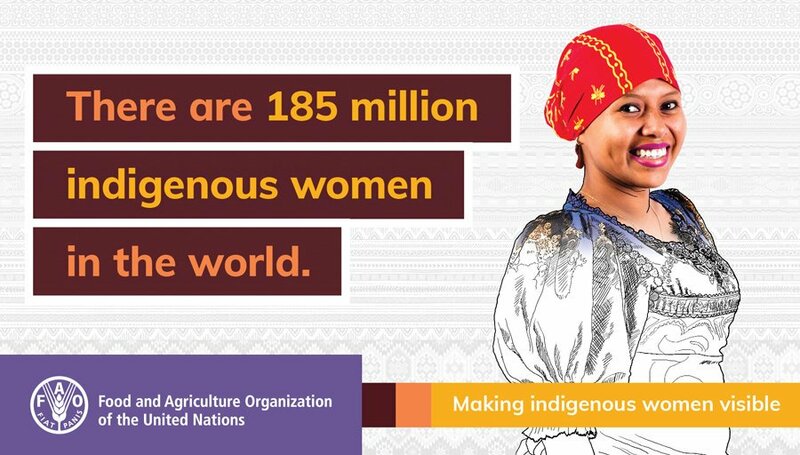 The Global Campaign for the Empowerment of Indigenous Women for Zero Hunger is an unprecedented opportunity to make indigenous women's contributions and challenges in the path to reach the Zero Hunger and the Sustainable Development Objectives visible. You do not need to be a large organization or have a big budget to engage in outreach activities. Below are just a few ideas to get you thinking about appropriate outreach alternatives for your organization. Indigenous women are key allies in the fight against hunger and malnutrition. Recognizing and making their social and economic role visible is fundamental to achieve food security. Indigenous women are food producers, guardians of native seeds and custodians of traditional knowledge. With their sustainable livelihoods, indigenous women contribute to the achievement of Zero Hunger. Empowering indigenous women is the answer to poverty reduction. Through their empowerment, indigenous women are leading social and economic changes that foster sustainable development in accord with their own cultures and identities. 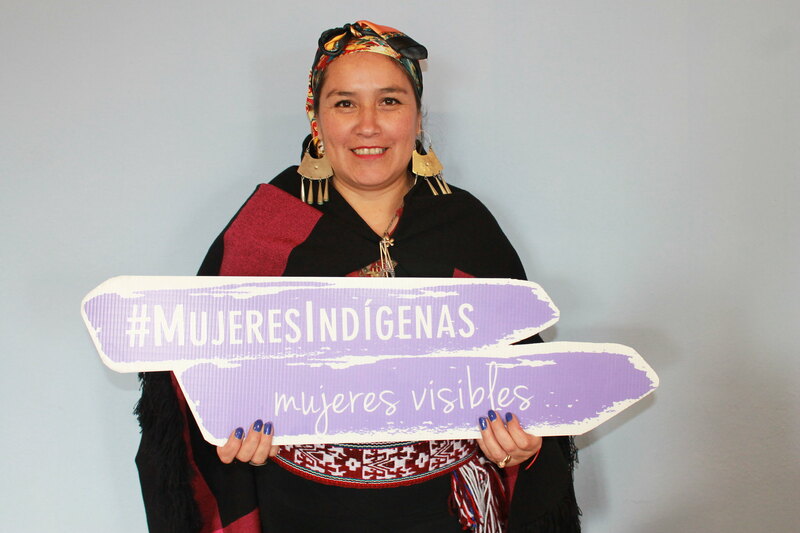 Even when facing triple discrimination because of being women, indigenous and poor, indigenous women have demonstrated their leadership and capacities to be agents of change for dignified lives. Indigenous women are defenders of natural resources, lands and territories. They hold an intimate connection with the territories they inhabit and consider themselves the first guardians of mother earth. As such they are leading the protection of indigenous territories worldwide. Integrating the gender and indigenous peoples’ dimension in public policy is fundamental to achieve the Sustainable Development Goals. In order to leave no one behind in the implementation of the 2030 Agenda, the needs and challenges of indigenous women must be reflected in policies for rural development and poverty reduction, and count with their full and effective participation. See the winners of the Photography Contest "Indigenous Women and Food Security in Latin America and the Caribbean"!